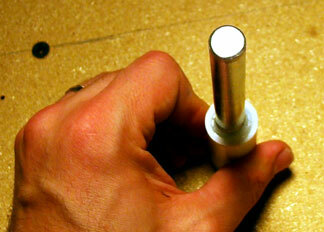 (1) 1/2″ x 6″ to 7″ long Hex Bolt. (1) piece of 3/4″ x 7/8″ H/C PEX TUBE. Tubing, not PVC pipe. cut 2″ long. I didn’t take pictures of the whole process, because I wasn’t originally going to write this up. First, lets prep the hex bolt. Place the bolt in a vise so you can saw off the hex part of the bolt. Once you do this, file or grind the top of you new rod smooth. Set that aside for now. Plug your glue gun in so it will be ready to go. In the mean time, cut a piece of tubing 2″ long. Place duct tape on one end. This is so the glue doesn’t go out of the tubing. While holding the tubing down (duct tape side down) on your work surface, fill the tubing with hot glue about half to two thirds the way up. While still holding the tubing down with one hand, take your headless hex bolt and plunge it into the hot glue (threads down) until it bottoms out against the duct taped end. You might need to twist it a little as you go. If the glue bulges out of the top, just use the tip of the glue gun, while it is hot, to push the bulge evenly around the rod. 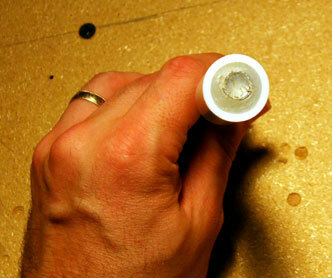 If you have a gap in the glue near the top of tubing, just shoot some more glue in it. 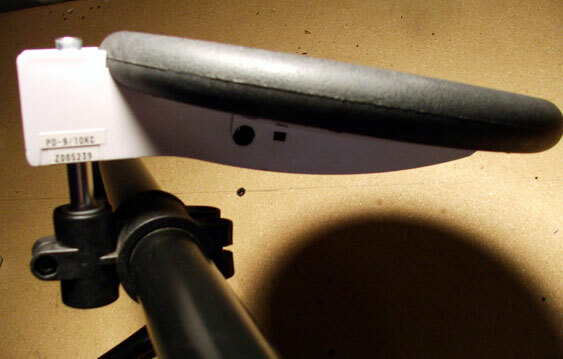 Let it cool, take off the tape and place in the REMO pad mount clamp. 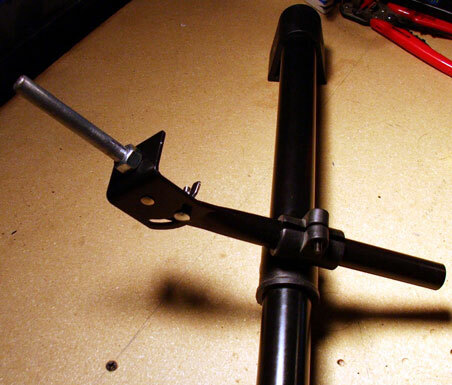 Here are some pics of what the rod assembly should look like when you are finished. 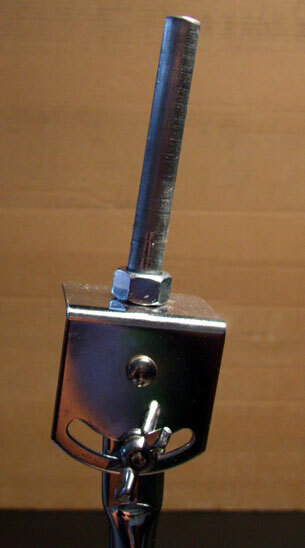 Place the bolt in a vise so you can saw off the hex part of the bolt. Once you do this, file or grind the top of you new rod smooth. 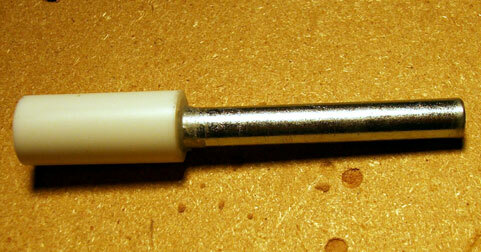 Now we need to remove the standard mounting screw from the REMO mounting arm. You may have to cut it out. 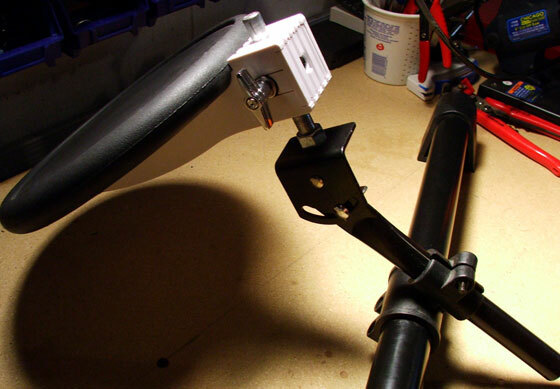 Once you have done that, clamp the mounting arm in a vise and drill out the mounting hole with the 1/2″ drill bit. Now, it is just a matter of put on the hex nuts on. First put on the standard hex nut. Thread it on as far as it will go and make it tight. You may need to use the locking pliers and adjustable wrench together to do this. 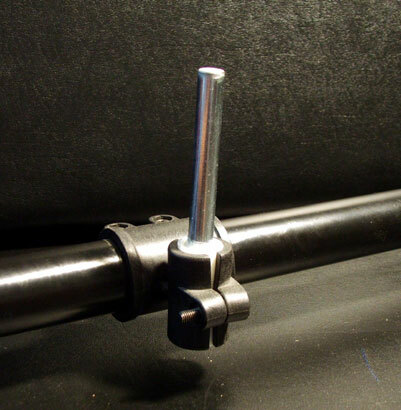 Place the the new rod assembly in the 1/2″ hole in the REMO mounting arm and thread on the nylock hex nut. Again, you may need to use the locking pliers and adjustable wrench together to do this. That’s it!